Spain’s Repsol and China’s Sinopec have made an oil discovery offshore Brazil that could be one of the biggest so far in the area and that boosted confidence that across in Africa, Angola’s deepwater reserves may be abundant too. The firms’ Brazilian joint venture has struck oil in the Campos Basin off the coast of the South American country, it said on Monday. ?The well … drilled into a hydrocarbons column of 500 metres, one of the thickest discovered in Brazil to date,? Repsol said in a statement. Repsol did not provide an estimate for the size of the find, but one of its partners, Norway’s Statoil, said it was a ?high-impact? one: it could hold more than 250 million barrels of oil equivalent (boe) or provide 100 million boe net to Statoil. One analyst said the discovery could be even bigger and had the potential to be an elephant when compared with a recent discovery made by Petrobras in the same area. March 2 should be a date that lives in infamy for the Obama Environmental Protection Agency. That day will most likely be the last opportunity for congressional Republicans to apply meaningful pressure on EPA Administrator Lisa P. Jackson as she testifies before the Senate Environment and Public Works Committee on the agency?s 2013 budget. WASHINGTON ? The fight against climate-change alarmism is just one part of Sen. James Inhofe?s lifelong struggle for liberty. But what a fight there is over dire predictions of global calamities because people drive SUVs and are allowed unharnessed access to home heating and the like. Now the Oklahoma Republican, in his new book, ?The Greatest Hoax: How the Global Warming Conspiracy Threatens Your Future,? reveals the ever-shifting rationalizations, fabricated evidence and corrupt profiteering of so-called climate change activists. In a sensational public confession a leading climatologist, Peter Gleick has admitted to taking part in a high-profile climate emails forgery that has backfired; says it was done to intentionally injure skeptic foundation. What are the depths of Peter Gleick?s depravity in the Heartland global warming smear attack? ?Climate scientist Peter Gleick has acknowledged that he was the person who convinced the Heartland Institute to hand over the contents of its January Board package, authenticating the documents beyond a doubt and further exposing the disinformation campaign Heartland has pursued in the last week, trying to discredit the information,? writes DeSmog Blog in a post titled ?Whistleblower Authenticates Heartland Documents? (Feb. 20, 2012). which is fabricated and false. authenticated these documents (the ?Alleged Heartland Documents?). Your site thereafter has reported repeatedly on all of these documents. information, to which your web site has posted links. 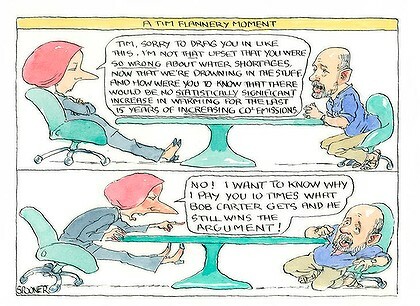 Bob Carter wins the cartoon war :-) A very sweet win. Cartoon by John Spooner. The Age. And if Bob Carter receives an honorarium type amount of $1500 a month, the pull of those big dollars must be powerfully tempting for people like Tim Flannery who struggle along on about $1200 each day he works. Message to DeSmog and that faker? whatever credibility you had? Flashback: Who Owns These Two Houses? Neither you nor I will ever be able to own a house like either of these. However, it does provide us with a startling example of environmental friendliness that may raise your eyebrows. 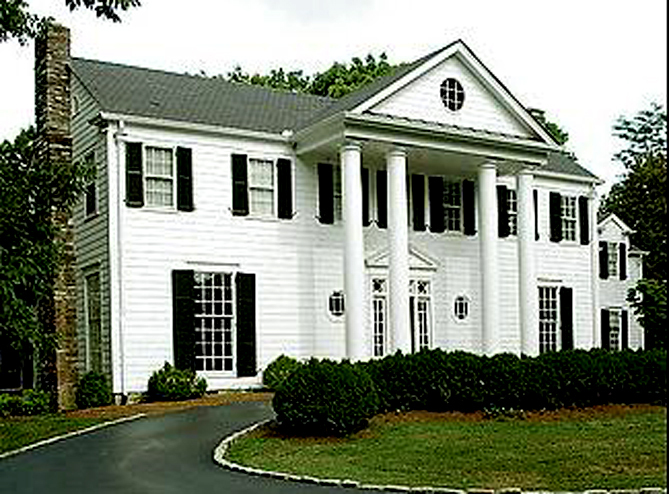 Keep in mind, the average size for a family home in the U.S. is around 2300 square feet. Panorama’s Hilary Andersson comes face to face with the reality of poverty in America and finds that, for some, the last resort has become life in a tented encampment. Just off the side of a motorway on the fringes of the picturesque town of Ann Arbor, Michigan, a mismatched collection of 30 tents tucked in the woods has become home – home to those who are either unemployed, or whose wages are so low that they can no longer afford to pay rent. Conditions are unhygienic. There are no toilets and electricity is only available in the one communal tent where the campers huddle around a wood stove for warmth in the heart of winter. Ice weighs down the roofs of tents, and rain regularly drips onto the sleeping campers’ faces. Kobashi, T., Kawamura, K., Severinghaus, J.P., Barnola, J.-M., Nakaegawa, T., Vinther, B.M., Johnsen, S.J. and Box, J.E. 2011. High variability of Greenland surface temperature over the past 4000 years estimated from trapped air in an ice core. Geophysical Research Letters 38: 10.1029/2011GL049444. FEBRUARY 15, 2012 ? The following statement from The Heartland Institute ? a free-market think tank ? may be used for attribution. For more information, contact Communications Director Jim Lakely at jlakely@heartland.org and 312/377-4000. Yesterday afternoon, two advocacy groups posted online several documents they claimed were The Heartland Institute?s 2012 budget, fundraising, and strategy plans. Some of these documents were stolen from Heartland, at least one is a fake, and some may have been altered. A national geographic explorer special on the problems we face if the power grid fails, due to nuclear weapons or solar flares causing electromagnetic pulses (EMP). You are currently browsing the The SPPI Blog blog archives for February, 2012.